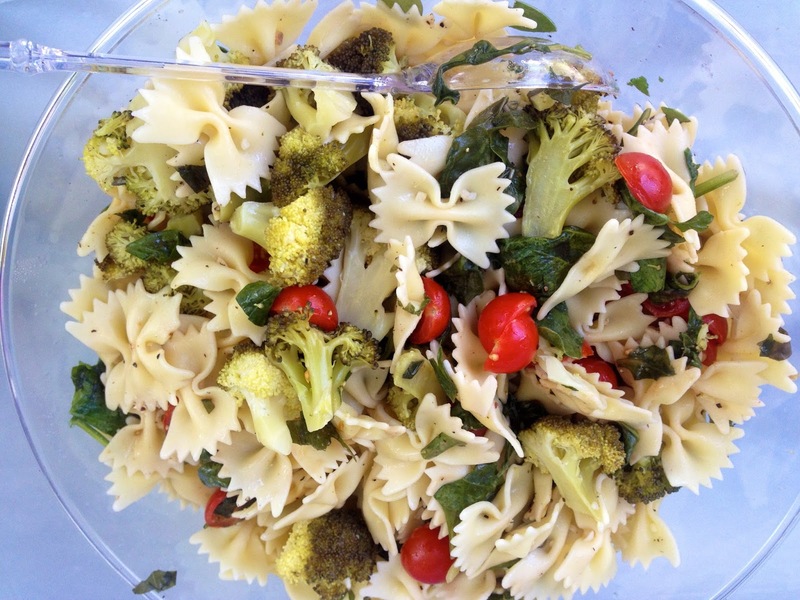 The best pasta salad you will ever make, I promise. What I like best about this is that it's a light summer side dish that isn't running with mayo. It tastes super light and is loaded with fresh veggies and herbs to make this extra healthy & tasty. Enjoy! 1. Cook pasta, drain, transfer to serving bowl. 2. Boil broccoli for 1 minute just to soften a little. 3. Combine pasta, broccoli, parsley, basil, & fresh spinach in bowl and toss. 4. Combine dressing ingredients in jar and shake well, pour over pasta, & toss.